DBI Design has designed a 5-tower project in the Middle East, valued at more than A$860 million (AED$2.5 billion). DBI Design was awarded the lead design consultant contract for architecture, interior design and landscape architecture on the project. 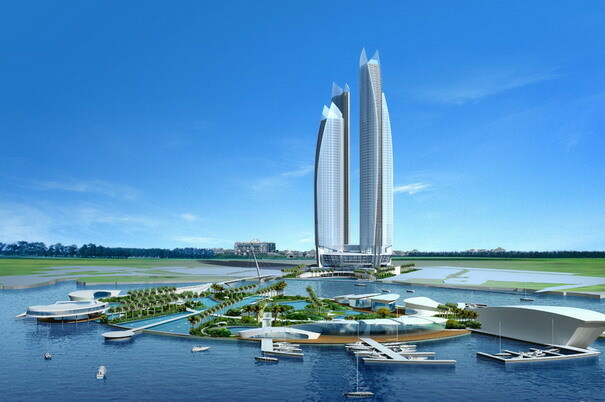 The project, Etihad Towers, will be located on a prominent waterfront site close to the central Abu Dhabi business district, at the end of the Abu Dhabi Corniche. Compromising five iconic towers ranging in height from 55 to 77 floors, in excess of 300 metres high, with a total built up area of 500,000m², Etihad Towers will feature an array of amenities, including an international five-star hotel, a boutique shopping mall, premium office tower, a hypermarket and quality residential apartments. 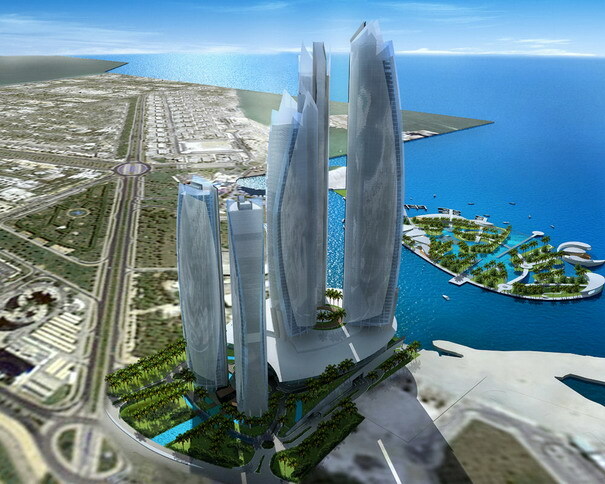 It is set to be one of the most prestigious projects in Abu Dhabi. The Etihad Towers development will consist of three residential towers, and one hotel/serviced apartment tower, centred by an office tower incorporating more than 65,000m² of lettable area. Including a retail podium, the group will be united by a basement car park of four levels, with a capacity for more than 3,000 cars. 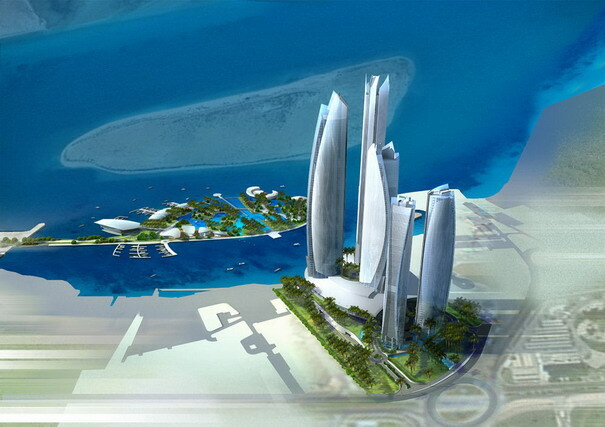 All hotel rooms, apartments and office floors will have stunning sea views, overlooking the Abu Dhabi coastline. Etihad Towers’ signature building, the five-star hotel, will accommodate 400 rooms and 200 services apartments, to be operated by Jumeirah, operators of the seven-star Buj al Arab in Dubai and many other prestigious hotels around the world. The high-quality residential apartments will total 870, designed in a variety of configurations to suit all buyers. The Etihad Towers complex will also house Abu Dhabi’s largest state-of-the-art convention centra and ballroom, at over 2,500m². Complementing these will be a retail centre incorporating outlets for major international designer and fashion labels; and eight restaurants. Etihad Towers is scheduled to be completed by early 2010. Please publish updates on the construction of the towers to demonstrate the progress of the project visually. I have not seen too much progress on the work. It is still at the podium level. big doubt on the completion on time. The project has been awarded for two years!